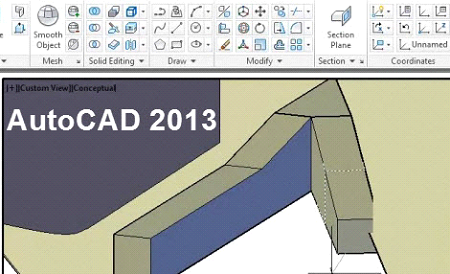 With over 46 hours of training tutorials to help you learn AutoCAD 2013 our course covers all levels of skill from the beginner to intermediate through the advanced topics such as customizing the user interface, working with collaboration tools, point clouds and modifying 3D objects. Our AutoCAD 2013 training course comes complete with project files, so you can recreate the exercises exactly as your instructor has. Of course you will need your own copy of the this software on your computer to open these project files. The hands-on experience you will gain from our course will help you gain valuable knowledge and skills with the most current 2D and 3D design features of this latest software. Additional enhancements include: Built-in connections for Facebook and Twitter to share your designs. Extrude and offset curves with the new PressPull tool. Extract isoline curves through a specified point on a surface or face of a solid with the new Surface Curve Extraction tool, and access to hundreds of apps.